I found a new aerial image of LZ Litts which clearly shows a lot of the characteristics of the location. Posting this 1 today. Apparently, the location was also known as "Joyce". More photos on the way. Wow neat map Jim . You can zoom in and get a fair look at it. Photo of the LZ Litts Dedication from the book "In Honor and Memory" by Ray Bows. 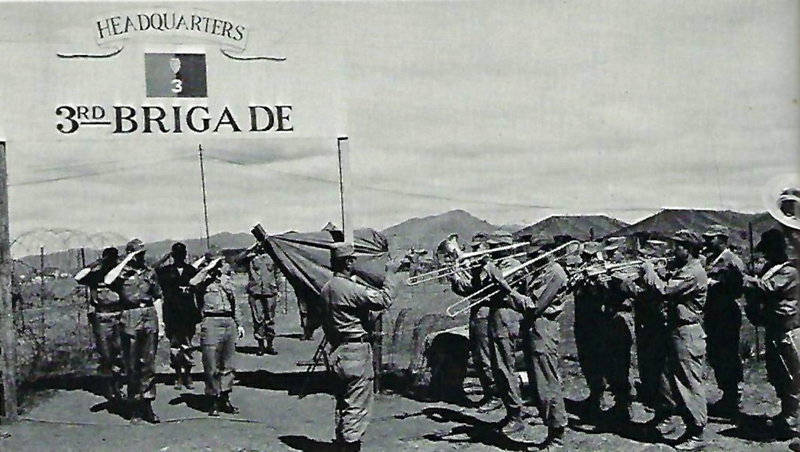 Litts was a full fledged LZ and home of the 3rd Brigade (25th Infantry Division) Headquarters in May of 1967. The runway was carved our by the 8th Engineers. On 04 October 1966 C-7B CARIBOU tail number 63-9751 crashed into Hon Cong Mountain near An Khe Air Base, Binh Dinh Province. Thirteen men died in the crash..including James Garris Litts...who was assigned to the 8th Engineers. I have a personal story about LZ Litts that I just penned for my memoirs. Sometime in the early Fall of 1967, My Charlie Company was sent to LZ Litts to provide security for a 1st Cav Infantry unit that was to be picked up there by a C130. There was a resettlement village between the northern half of the runway and Highway (QL) 1 to the East. A well traveled dirt pathway connected that village with one to the West of the runway...and there was a steady stream of civilians walking back and forth between these two villages. When we encircled the LZ for security as the C130 approached for it's landing, my 1st Sergeant chastised me vehemently (A polite euphemism!) for allowing villagers on the runway at my position where this pathway crossed...I did everything I could but the people would not listen. I could see my 1st Sergeant getting ready to explode...so, without warning, I fired a round with my M16 into the air. This worked, but the Cav unit that was waiting to be picked up all dove for cover. Now instead of an angry 1st Sergeant...I had a company of battle weary Cav soldiers ready to finish me off! Fortunately, the plane landed and they had to hurry and load for takeoff. My 1st Sergeant just shook his head...but what else could I do!